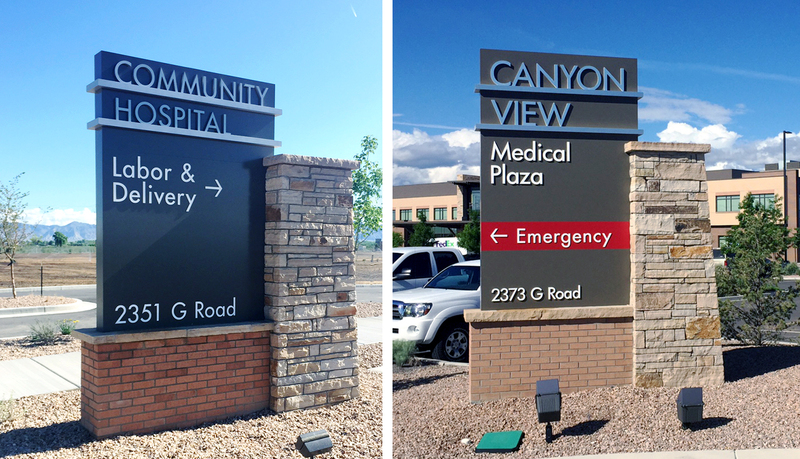 Community Hospital of Grand Junction, Colorado is a full-service hospital that is part of the Colorado West Healthcare System. 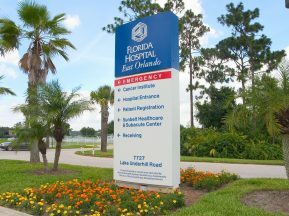 It is a Level III Trauma Center offering inpatient and outpatient care. The hospital’s emphasis on the utilization of current technology and holistic healing in a family-centered environment sets it apart as a growing leader in the community. 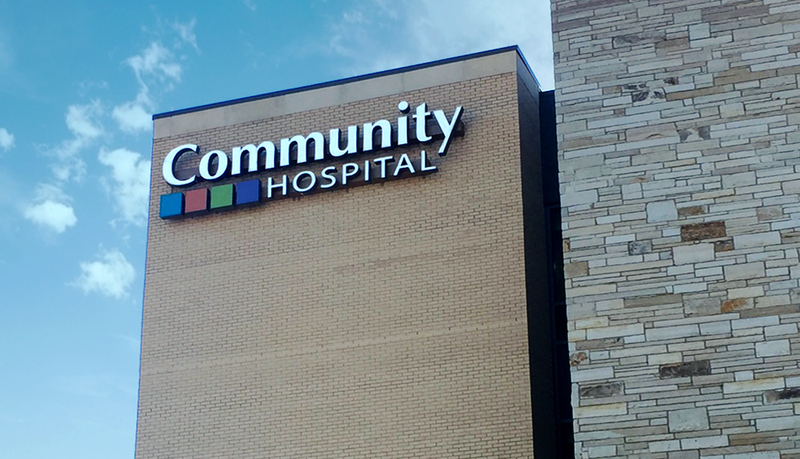 Due to the increased demand, Community Hospital broke ground on a new, four-story hospital in October 2014 that was set to open in March two years later. 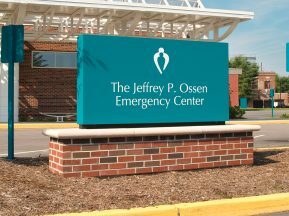 The new, 140,000 square foot, state-of-the-art facility offers more space, new equipment and, according to Community Hospital CEO Chris Thomas, an improved, more efficient layout. 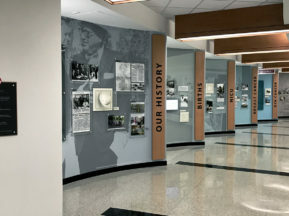 ASI was brought onboard to implement various types of signage including interior signage and exterior solutions. 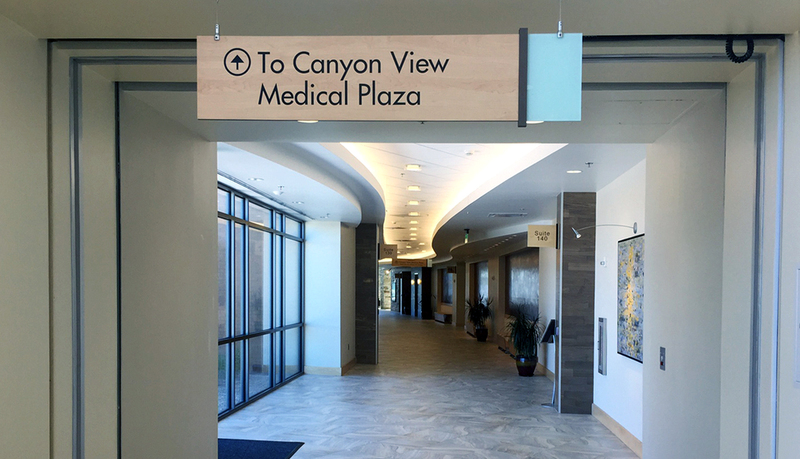 The hospital design focus of ‘bringing the outside in’ is reflected in the solar orientation of the building, flowing forms and transitions of the central curved hallway, and was even included in the sign design. 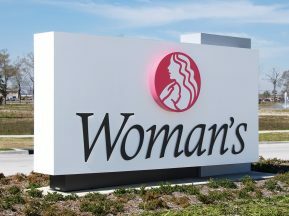 ASI worked with the architect to bring the actual land topography of the site to life through the luminous patterned sign accents. ASI closely collaborated with the architect in numerous ways. ASI’s wayfinding analysis assisted to improve the planned routes and decision points of the interior wayfinding system. The construction and mounting of the exterior main monument required close coordination with the local stone mason to ensure a sign engineered to meet local wind load requirements. 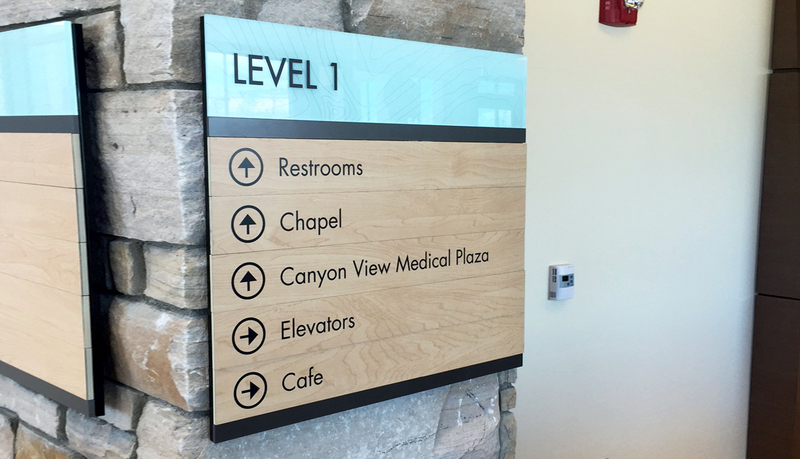 This beautiful new hospital is shaped by the signage fabricated and installed by ASI. 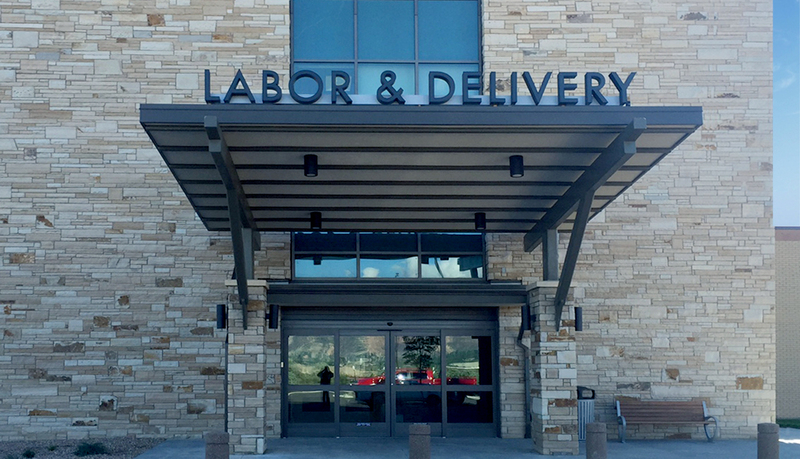 Through a complete signage program, which includes interior and exterior signage, the implemented solutions highlight the hospital’s family-centered lean, helping visitors to feel comfortable and welcome on-site.